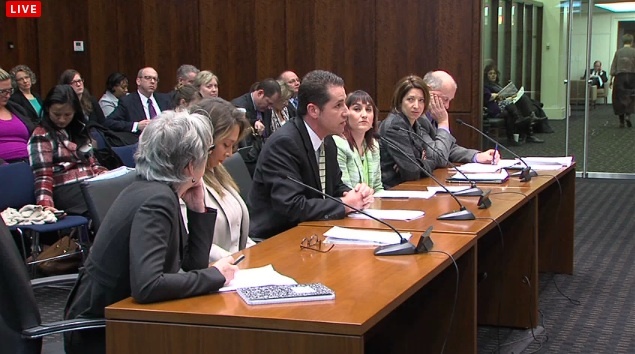 Eric Foster, COO, Illinois Alcoholism and Drug Dependence Association, testifying earlier this year before the House Human Services Appropriations Committee. (Springfield, IL) – Op-Ed: Where does the Illinois heroin crisis stand today? That is an accurate depiction of the current Illinois Heroin epidemic. This excerpt was written in the conclusion of a Treatment Alternatives for Safe Communities (TASC, Inc.) Issues and Statistics report ‘Heroin in Illinois’ – in March 2007. The problem has grown only worse. Heroin use has been increasing at an alarming rate. From 2007 to 2011, overdose deaths attributed to heroin increased by 115% in Lake County, 100% in Will County, and by 50% in McHenry County. And now a new Illinois House Task Force, chaired by Deputy Majority Leader Lou Lang (D-Skokie) and vice-chair State Rep. Dennis Reboletti (R-Elmhurst), has drawn 37 lawmakers to tackle the Illinois heroin problem. In fact, 35 of those legislators are sponsoring a House Resolution, 883, declaring a heroin “State of Emergency” in Illinois. Nevertheless, over the last seven years in the midst of this escalating epidemic and that of non-medical use of prescription drugs by young adults, Governor Pat Quinn and the legislature has chosen to drastically cut funding for addiction prevention and treatment services. Between 2008 and 2014 the State of Illinois has eliminated $52 million (44%) in funding for substance abuse prevention, treatment, and recovery support services. Drug treatment services for those struggling with addiction to alcohol and drugs were cut by $45 million (41%). While services, designed to prevent the abuse of alcohol and drugs – including Heroin­ – primary alcohol and drug prevention was slashed by $6.6 million (88%). Today, Illinois commits no more than a pitiful $1,000,000 annually to prevention. Meanwhile, the number of 10th and 12th graders who have ridden in a car with a teenager who had been drinking or using drugs in the past year is on the rise with 24% and 33%, respectively. Every dollar spent on school-based addiction prevention efforts produces $18 in savings related to health, work loss, and other social costs. This is a net savings of $3,757 per youth served. That’s why the Illinois Alcoholism and Drug Dependence Association and The Illinois Collaboration on Youth are calling on lawmakers and Governor Quinn to take necessary steps to repair the drug prevention system by restoring funding to its FY 2012 level of $2,663,000 from its miserly $1,000,000 in FY 2015. It is important to remember that, notwithstanding the growing epidemic of heroin use and overdose, there are hundreds of thousands of Illinois citizens who struggle every day with alcohol and other drug addictions who also cannot gain access to treatment. Without adequate funding for these lifesaving prevention, treatment, and recovery support services, there is no end in sight for this epidemic. Without the state’s help, the corpses in County morgues will continue to pile up.